Author(s): Harimohan Paruvu, a Civil Engineer with an MBA, worked as a marketing professional and a banker for 12 years before deciding to write fiction full time. A first class cricketer, he represented Hyderabad in the Ranji Trophy and is the author of the first novel in cricket in Indian English writing – The Men Within – A Cricketing Tale (Now being made into a movie). 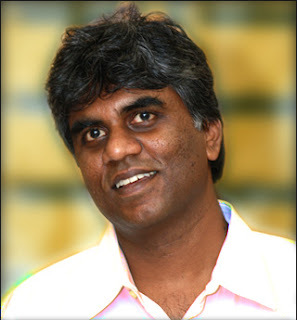 Harimohan is also a Motivational Speaker, Attitudinal Coach, Workshop Facilitator and Management Consultant. “If you love someone…” is his second novel. Synopsis: A promise made thirty years ago comes haunting Meghna Mathur, the chairperson of a wealthy Trust, a week before she turns fifty. She, a 20 year old ambitious, middle class girl with immense faith in the capitalist system and Aditya, a rich rebel with strong, communist leanings, meet at an inter-collegiate debating competition and spend three perfect days together. Whatever happens later, they promise to meet again on her fiftieth birthday. Meghna’s life and career had had ups and downs – marriage, success, betrayal, children – and a growing dissatisfaction. Was the old Meghna still alive? Had she lost her ‘self’ somewhere along the way? Here was an opportunity to find out. By keeping the tryst with the one who had brought out the best in her all those years ago. Will the magic happen again? Will the Sun rise at Sunset again? Dedicated to: To all the women of the world, who I believe truly possess the capacity to love and give unconditionally. “Dawn moved in softly, tapped the tiring night on the shoulder, and took over its turn. It started painting the darkness with bashful colors that spread noiselessly across the eastern skies; orchestrated musical notes of falling dew, of excitable birds, of rustling leaves. It freed the breeze from its nocturnal chains, allowing it to caress a drowsy life, cajoling it to wake up. Its work done, dawn receded from the path of the Emperor as he prepared to enter. Darkness and despair would be dispelled. A new day, a new life. MSM Speaks: I was suggested this book by a friend who said that I might like it. I was skeptical with the title since I could not risk another reading experience of a choppy written work. But believe me when I say, the cover, of which I didn’t think much about, was one of the most relevant covers I have seen in a while. And the dedication made me smile. From the first chapter itself, I realized that the writer knows his game and is not groping for temporary limelight. Lovely beginning. Story is about Meghna, who is now turning fifty and learns through the glorious years of her life, living and bringing up (her husband) a man who is completely emotionally dependent on her fiery strength and attitude, that it is finally time to go back to check on a promise made to her by someone like her equally eccentric and mysterious - her Aditya. Fulfilling all her duties as a wife, a mother, a business woman and a constant wall to everyone, Meghna needs her own secret passion back. She decides to go back to the beach where she saw Aditya rise and fall. In Goa. Meghna and Aditya's first connection is at their inter-college debating competition where Meghna is for the Capitalists and Aditya against them. The heat - both intellectually and physically is immense and turbulent, irresistible. Eventually, Meghna dares herself to follow Aditya and they create a connection so fragile and magical, it alters the meaning of their very being. The way Mr. Mohan handled this young love relationship, removed any scope for calling it "young puppy love". It was mature and adventurous. The biggest danger of any such writing style is that it can go horribly wrong when it comes to dealing with nuances of a relationship long forgotten. Mr. Mohan sketches Meghna's tryst with Aditya, during her adolescent years and encounters with him, indirectly beautifully. There is no sappy romantic interlude introduced and writer does not forget the practicality required. This not only makes the story telling more realistic; it also leaves an impact lasting for a long time. The ending is surprising and I actually felt fear trickle down my spine for the first time. I had goosebumps. This is not your usual sweet, sappy romance. It has a touch of Paulo Coelho's writing style as well as Murakami's spinning story telling. MSM Recommends. If you love someone: Indialog Publications Pvt. Ltd.